With the rise in global consumerism, updated government regulations are set to tackle the consequential increase in the carbon emissions from retail supply chains. With these mandates, corporations are constantly seeking ways to innovate sustainable material handling applications. Walmart, one of the world’s largest retailers, outlined these three key sustainability goals: to generate zero waste; to be powered 100% by renewable energy; and to sell products that sustain people and the environment. Are these simply lofty ideas or attainable goals? When Walmart invested $115 million to build one of Canada’s largest refrigerated buildings at 400,000 square feet, they embarked upon a journey of innovation. They wanted to showcase a changing attitude towards the impacts of integrating cutting-edge green technologies into their well-established distribution process. One of the key sustainability features of this state-of-the-art facility included the replacement of lead-acid batteries with hydrogen fuel cells in the facility’s fleet of materials handling vehicles. This move alone, in CO2 reduction, had the equivalent of taking 101 passenger vehicles off the road per year. 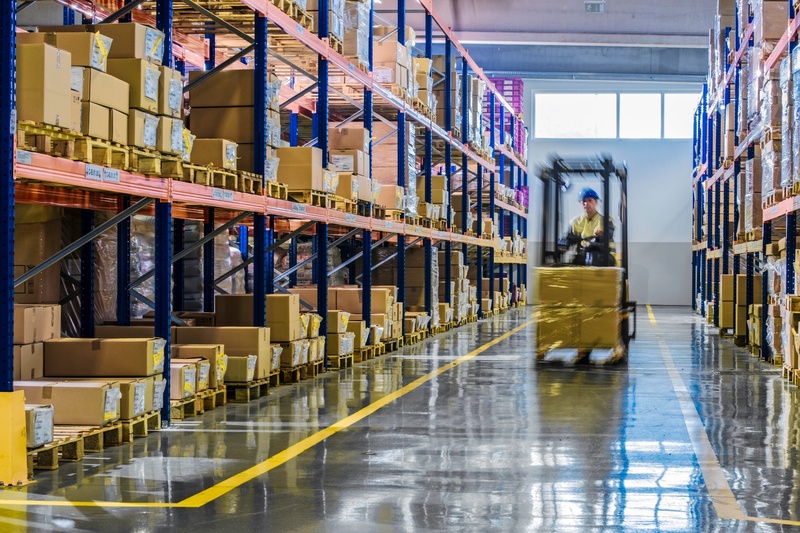 The use of fuel cell technology for material handling applications allows distribution center operators benefits of increased productivity, eliminating lost productivity associated with multiple charging cycles of battery-powered lift trucks, and offering three times longer run time than battery-driven counterparts. Fast Fueling. Refueling time is less than 3 minutes for fuel cell lift trucks vs. 15 to 30 minutes it takes for battery replacement. Consistent Power. Fuel cell stacks provide constant voltage and maintains constant power output throughout the shift. Optimized Warehouse Floor Space. Eliminates the need for dedicated battery charging and storage facilities. This is just one example of a very visible multinational retailer who has turned to fuel cell power to meet their sustainability goals. Ballard Power System’s fuel cell stack customer and system integrator, Plug Power, has more than 10,000 units deployed with customers who have logged over 107 million hours of runtime. Walmart Canada wanted to demonstrate their influence to change the status quo and embrace a sustainable agenda and those efforts have meaningful impacts on further development of green technologies in the supply chain as well as real cost-reduction for the company. (For more information, see this case study on Walmart Canada’s fuel cell forklift deployment.) It seems to be a win-win scenario. Certainly you don’t need to be the size and scale of Walmart to make improvements in your operational philosophy. They can happen with small steps with proven technology that is available today. To find out more about fuel cell technology options for powering material handling systems, see the white paper which we have written exclusively for those interested in transitioning to sustainable transport systems. Click the download link below to access your copy, and make sure to share it with any of your interested colleagues.